This was taken when KKK protesters were trying to circle around the Downtown Mall back to the statue. 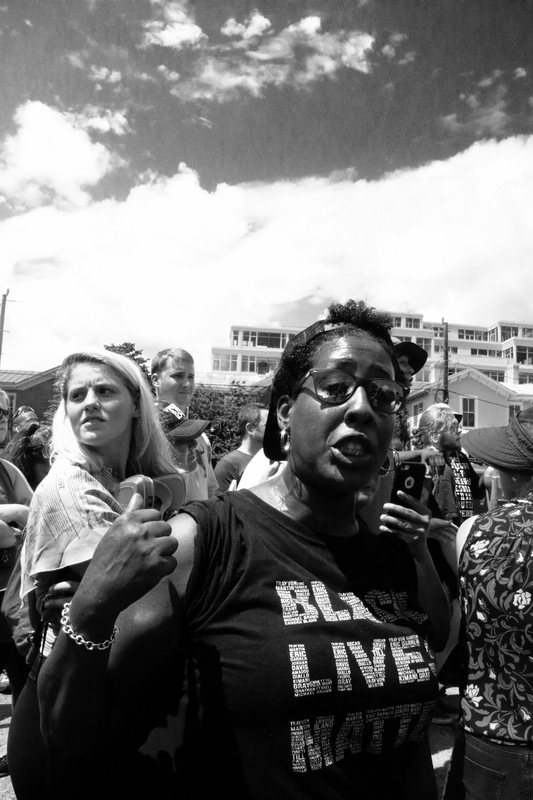 At the time this image was taken, this woman was standing up to a member of the KKK (not pictured). 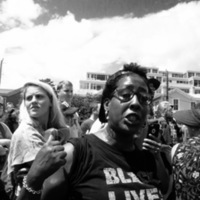 Gracie Hall, “Black Lives Matter,” Digital Collecting, accessed April 24, 2019, http://digitalcollecting.lib.virginia.edu/rally/items/show/136.